The success of Auto Safety Center is attributed to our talented employees and their commitment to customer satisfaction. 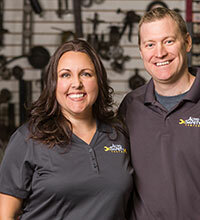 A large part of providing a superior service at an affordable price is knowing what to do. To consistently deliver high-quality service our staff possesses an impressive list of certifications, training, and experience. 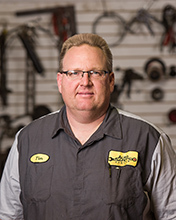 All our shop technicians are ASE Certified and hold a wide variety of qualifications and many years of combined experience. Our commitment to excellence drives us to stay on top of the constantly changing auto repair industry. We work hard to be your professional auto service facility. Purchased Auto Safety Center in 2005; started with Auto Safety Center in 1995 to 1998; then 2003-Present. Qualifications/Certifications/Awards: ASE Certified Technician; ASE Certified Service Consultant; EPA Certified for Air Conditioning repair and servicing. Specializations/Special Skills/Expertise: Great communicator and problem solver. 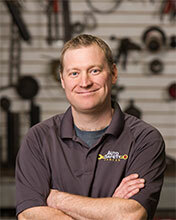 Education/Training: Moraine Park Technical College Fond du Lac, Automotive Technologies Degree 1998; West Bend East High School Graduate 1996. I love participating in auto repair trade related online forums as a means to improve my knowledge, share ideas, and encourage professionalism throughout our industry. 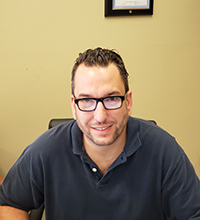 This also improves the service Auto Safety Center delivers to our clients and keeps me current on the rapid changes that take place in the auto repair industry. I also enjoy taking regular classroom training sessions about new auto repair technology. For a while, I shared automotive tips on The Car Care Minute on our local country radio station 92.5 FM WBWI. Personal interests: study of the Bible, teaching, traveling, and spending time with my family. Clubs & organization activities: 2013 – Present: Member of Bend City Church 224 Butternut St, West Bend; 2001-2013: Member of Emmaus Bible Church 220 N 6th Ave West Bend; 2003-2010: Emmaus Bible Church Board Member (Deacon); 2010-2013: Emmaus Bible Church Board Member (Elder & Board Chairman). My family includes wife Jessica, 3 Daughters, 1 Son, a Yorkshire Terrier (Yorkie) named Captain Jack, and a Siamese Cat named Roxy. In my "spare" time our family, 3 daughters, 1 Son, a Yorkie, and a Siamese cat keeps me busy. Personal interests, hobbies & activities: Improving and Restoring my 86 Olds, Camping, Snowmobiling and Auto Racing. Family: Enjoy spending time with my wife Keri, my daughter Jeanette and my son Eddie.